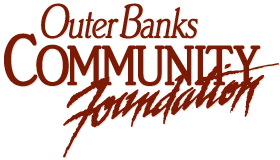 What is it that the Outer Banks Community Foundation does exactly, and where will your donations go? Undesignated donations make their way to wherever they can best serve our community. But sometimes people want to give toward a specific cause or non-profit. These are called Endowment Funds, and the Outer Banks Community Foundation manages over 150 of them, investing the money and using the profits to award grants to non-profit organizations. Each month, we’ll be exploring one of the funds so you can see how each one helps our community and consider making a donation directly to it, donating to a different fund or maybe even setting up a fund of your own. Schiffman has been rescuing wild animals ever since she was a little girl, and though she’s rehabilitated and released birds, cats and even the occasional human, she has a particular fondness for rescuing squirrels. Over the past couple of decades, she’s helped more 300 squirrels and built up quite the reputation in our community. When someone finds a lost baby squirrel whose nest was destroyed by a passing hurricane or a new condo, they know exactly who to bring it to. “I’m especially partial to the wild animals because I think they need advocates,” Schiffman says. Schiffman understands exactly how much it takes to rescue wild animals. It takes money for supplies like cages and food, expert knowledge, sometimes even veterinary care, and lots and lots of time and hard work. Take just her squirrels. The babies need to be hand-fed formula from a syringe until they’re 10 weeks old. The feedings get less frequent as they get older, but they start out needing formula every two hours — and that’s not even getting into the process of first convincing the squirrel to drink the formula. Once, after a hurricane, Schiffman was taking care of 25 baby squirrels at once. That’s 25 mouths to hand feed every few hours, and not a one of them on the same feeding schedule. Schiffman wanted to do more to ensure that others working to rehabilitate wildlife had the resources to do so. Schiffman served on the Board of Directors for the Outer Banks Community Foundation for six years, so she was quite familiar with what they could do. “I knew what they could do, and how well they did it. I can honestly say I’ve been proud of every member that I have worked with on the board and the ones I know that are coming on now. I’m really, really proud of the work ethics and the integrity they show,” she said. The Schiffman Fund for Animals was officially established this past December, using a sizable donation from Lila Schiffman to get it started. The fund is used “to help care for, protect, and rehabilitate animals and wildlife” and it is currently accepting applications for its very first grant. The $250 grant will be awarded on a competitive basis based on which applicant’s needs best serve our community. Applicants have to be a nonprofit or partner with one to qualify for the grant. The deadline for this year’s application is April 28. Setting up the fund was Schiffman’s way of giving back, while also ensuring that other wildlife rescue operations can continue to do the same. And there’s no shortage of animals on the Outer Banks that need help, especially the many threatened or endangered species that call this place home. For more information about the Schiffman Fund for Animals or the many other efforts, the Outer Banks Community Foundation supports, visit OBCF.org.